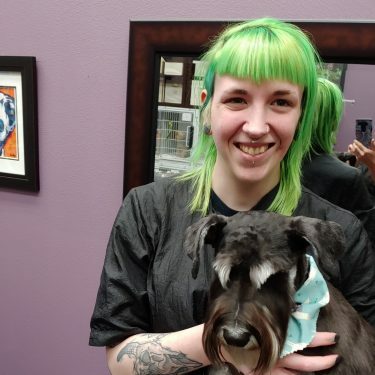 Anna started grooming dogs in 2015. She is another Oregon native and relocated from Corvallis and started at Send Rover Over in the summer of 2017. Anna has an artistic flair and enjoys creative grooming. If you have an interest in Asian Fusion style or adding color she is the one to go to! We are glad to have her on our team and so are the dogs!